Would you like to know how to make £7,933.27 by Matched Betting in just 6 months? This isn’t a con, fix or scam. This is legit, tax free profit. Early Retirement Guy started Matched Betting in November 2015, and just 6 months later he’s reported his earnings at £7,933.27. Now that’s impressive! How the hell did he do that?! I have some good news, he’s going to show us how…. I have an exciting interview coming up on my Youtube Channel with the man himself, and I’m going to be pitching questions to him on all things Matched Betting. Do you need to understand gambling to do it? How easy is it….. really? Is it a long term sustainable income? Am I too pretty for jail? Guy has also recently set up another site dedicated to solely to it – Matched Betting Guy. He tracks his progress, answers on the topic, and helps others earn money doing it. I helped Guy get up and running with Kindle last year (which he’s done very well in! ), and he was kind enough to give me an insight into his Matched Betting world. The reason I’m interviewing Guy is down to how easy I’ve found the whole process. So much so, Guy’s tagline to the site – ‘Like Printing Your Own Money’ – I’ve found to be totally true. I want to share this world with you too…. I decided to give it a go in April. I know I don’t need to take on more things in my life, but I wanted to see how easy it REALLY was…..
All whilst making a couple of stupid mistakes that cost me additional profits, and I’ve barely spent any time doing it due to other commitments. I literally fell into £427. I’ve seen that it’s a legit source of income, and although I won’t be trading my time away from Kindle for it (as I believe it has a much higher earning potential), I’m still going to chip away at the process by placing a bet a day and seeking an additional £250-£500 per month because it’s too easy not to! If anyone has 30 mins to 3 hours a day free hat they can dedicate to making more money, I see no reason to why you can’t make £500 – £1,000 a month doing this process – based on what Guy’s shown me. I made £427, with very little work. I made a bit of a mess of the Live Google Hangout. I accidentally closed it down within a minute, and struggled to get it up and running again. I got it sorted in the end and you can view the entire Q&A session below. The first 3 1/2 minutes are my favourite….. where we don’t realise it’s recording and we’re just talking about getting the call started! Skip to 3.30 mins to avoid. Do you have any questions, concerns, fears, aspirations, doubts about the whole process? Please leave your questions in the comments section below and either I or Guy will answer them for you. Looking forward to the interview, Huw – am always open to any tips/hints I can get off Guy! Well done on the matched betting front yourself! Whilst it's not gambling, there is still an element of luck involved, ie with some offers, your horse has to come 2nd to get the free bet, or your goal scorer has to score 2nd. There are some potentially good deals that I don't bother going for if the qualifying loss is too great, ie >£2 but that could be because I'm still building up my pot. If I ever get the thousands that Guy has reached, I would be ok swallowing that loss and moving on but I'm not there yet, haha! My question to Guy would be – which type of matched betting/market do you do most? I'm really looking forward to learning about MB as well as conducting the whole thing. It should be fun. You're right. I've found there is some luck involved with it. Guy did a great job of explaining these losses to me recently. In particular focusing on the maths behind it. The free bets on offer mathematically make sense to keep playing. It's like flipping a coin and getting paid £10 for it landing on Heads and losing £5 for it landing on Tails. You might lose some money when it lands on Tails, but it's mathematically just as likely to land on heads. So, if you play the game 10, 50, 100 times you will nearly ALWAYS end up on top. The longer you play the game, the more likely you will earn more…. What happens after you've registered with every Bookmaker site, and had all the introductory bets on offer? I.e. how likely am I really to make £7933(!) in months 6 to 12, 12 to 18, 18 to 24, etc. Is this a flash in the pan opportunit? Oh … and is this likely to impact my credit rating? Great questions Felice! Thank you for taking the time to comment. I, and I'm sure others, appreciate you putting them forward. The name and address you have used to register with the bookie / betting exchange should be displayed below that. Your Experian Credit Score is affected by the following – below is copied from Experian's homepage. Your Experian Credit Score is calculated by us using your credit accounts, and your searches and records. It gives you a good idea as to how a lender might view you using their independent scoring systems. The Experian Credit Score and score factors help you to understand your Experian Credit Report. They are not a recommendation for how to manage your finances, or advice about any particular credit product or any particular debt you owe. If you need independent, free and impartial financial advice speak to the Money Advice Service. Identification checks are not visible to lenders – only information about credit applications and how you run your credit accounts are visible. Great to hear Grainne Lennon! I know Guy records EVERYTHING. I'll ask him if he's prepared to share how he records everything or at least give some advice on it. Last minute question just before 11am, hopefully not too late! Which would you recommend as the best tutorial site to use for matched betting, I've heard of Richard using Profit Accumulator, and There's Value using OddsMonkey? This is how I do it but please bear in mind that I am new to this as well. I keep track of how much money I pay into every account – bookies and exchanges alike. I can see for each account if I'm in profit or not however I also want to know the overall win/loss rate. The first half of this table (columns Account – Comment) keeps track of how much and where the money is. I update this as I go along doing offers as otherwise I may forget to do it later. The second half of this table is for keeping tabs on withdrawals. Paid in is summed up so I know how much money I have put into all accounts together – again bookies and exchanges alike. Win/Loss is summed up as well for all accounts. With these 2 figures I can then work out my overall Win/Loss ratio. Thanks again for sharing Pinch! Thanks for tuning in OR! I hope you found it helpful. Guy puts recommendations 2 Tutorial sites at 52.27 mins – Profit Accumulator and Profit Maximiser. In my limited experience (1 month) of Profit Maximiser, I think it's well worth the £120 fee. You get that back are far more, not to mention the time you save. It also offers a 30 day money back guarantee so if you don't like it you can get your money back risk free. Really enjoyed the interview thanks, including the few minutes at the start when you had some 'technical difficulties' haha! Even though I've been matched betting for a couple of months now, I found it really useful – thanks to Guy for taking the time to answer in detail so many questions. It's funny that you mention MSE forums because there are a bunch on there who are really against websites like Profit Accumulator, Profit Maximiser at all – they appear to believe that these websites are 'killing' matched betting. All they've done is taken something that was quite niche and made it readily accessible for people who want to pay for some 'hand-holding' service. Great stuff and all the best to all with their matched betting! You're welcome. I'm glad you enjoyed it, and yes, big thanks to Guy for taking time out of the busiest day of the week for him! I'm in agreement. I'm not sure how they've ruined it personally. There seems to be more opportunity to make more money Matched Betting than ever before. Granted, I have limited knowledge on the topic, but I'm yet to hear or come across anyone suggesting "It used to be better 3, 5, 10 years ago". People will always be interested in making money. PM and PA have done a terrific service in providing a complex, risky looking money making idea into a more accessible and 'fool-proof' system. I wish you all the best with your bets too Weenie! The first few minutes were the highlight for me! I am not much of a betting man (why I like div stocks so much) but a good listen as I did not know what it was. Ha ha. Me too Guy. Thanks again for your time and answering everyone's questions! 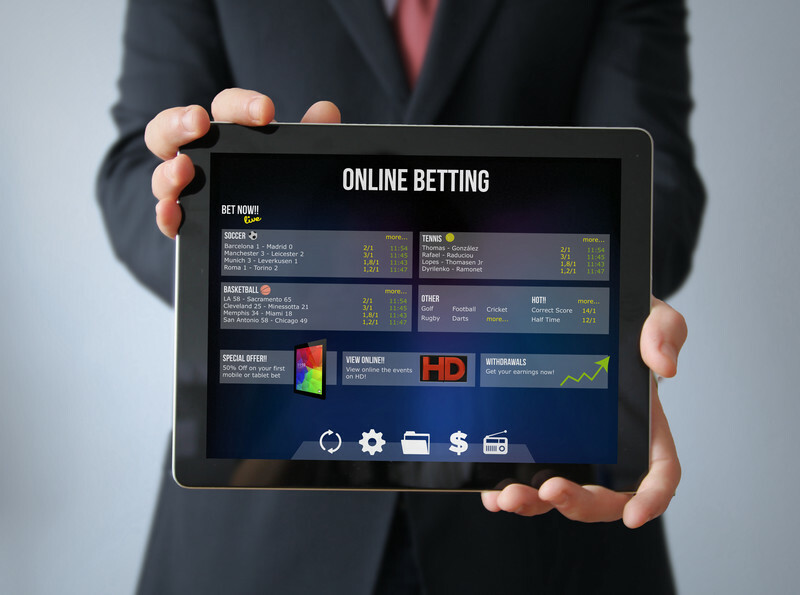 Matched Betting is actually very different to gambling, as strange as it sounds. You're placing money on circumstances where you KNOW the outcome (regardless of the result). As a DGI myself, I find the maths hard to ignore, even despite my lack of available time. There aren't many investments where you're guaranteed 60-80 ROI from a couple of minutes work, and receive the money within 1-5 days. I'm curious… what's holding you back from trying it? Not that you have to justify yourself in any way! I'm just interested in understanding what puts people off starting it. Can you post any screenshots of Profit Maximiser? They don't offer a free trial and all I can see is that awful sign up page which really puts me off. And I don't want to bother with their 30 money back offer, I would rather just have a free trial offer/account like OddsMonkey and Profit Acca do. From what I've seen/used OddsMonkey is far and away the best and most technologically advanced product and the best value for money. Thanks for the encouragement. I really enjoyed it too. From what I understand, I don't have a free trial. The 30 day guarantee is in essence that free trial. In my humble opinion, the layout and presentation of PM is below average. The content is very good though. Overall the value in the content over-rides the other elements. I can't speak form experience on any other service. Guy from Early Retirement Guy & now Matched Betting Guy feels the same way as understand.